I think you’d be hard-pressed to find a retrocomputing enthusiast who does not listen to at least one podcast related to the hobby. A2Unplugged: active from 2006-2010, A2Unplugged was one of the first retrocomputing podcasts I listened to. Hosted by the late Ryan Suenaga, it had a yearly roundup roundtable, and discussed then current happenings in the Apple ][ world. 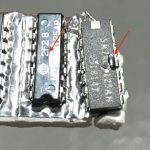 While inactive, the published episodes of Retrobits, 1 MHz and A2Unplugged are often still worth a listen, if only to get a glimpse of the retro-retrocomputing scene! What have I missed?! If you enjoy a retrocomputing podcast I haven’t mentioned, let me know in the Comments below (and I’m aware of non-Apple platform-specific podcasts like Antic and Chicken Lips Radio – but I keep my own listening to Apple and general retrocomputing podcasts for the sake of time). If there’s one thing that can shake you out of a lull, it’s holding yourself accountable to your tribe. These days, what with Facebook, newsgroups, Twitter, reddit, and the whole pantheon of online services, we all seem to have as many tribes as we feel we can handle. Meetups and conferences can help bring those tribes into the real world. Without it being too much of a revelation to anyone, I belong to the Apple ][ Clan, previously primarily online. But that changed significantly in 2015 with my attendance at Oz KFest, Australia’s own Apple ][ conference, loosely based on the KansasFest model. 2015’s was the third Oz KFest – so far, all of them have been held in towns strongly featuring “K” in their names to ensure we can stay “in the franchise”. Unfortunately, I wasn’t in a position to go to the first Oz KFest held in Mt Kiera south of Sydney in 2009 or the second one held in Kurilpa (a suburb of Brisbane, Queensland) in 2013. In 2015, I was finally able to attend and it was Keysborough, a Melbourne suburb quite away from the central hub, which was our host city for the third Oz KFest. We were hosted by CompNow, an Apple reseller/service centre in a semi-industrial area – but what the heck, I was wasn’t there for the views, I was there for the ][s! On the subject of the venue, a huge shout out to Jason Griffiths, who works at CompNow, and CompNow itself – the venue was phenomenal as far as space and facilities available, so thanks – you guys rock! As anyone who has attended one of theses sorts of gatherings knows, it’s a great opportunity to re-invigorate your interest. I know that the anticipation of the event, participating in the event (I even presented a session!) and the headspace it put me in afterwards will have a lasting impact on my Apple ][ hobby. Tony Diaz made it all the way from the U.S. and it was an opportunity for those of us who have never been to KansasFest to tap into his vast reserves of knowledge and experience in all things Apple ][ – and be shown a not insignificant portion of his vast collection of rarities and prototypes. I met some great friends, the atmosphere was positive and generous, with information and bits and pieces being swapped and just outright given, and there’s just that certain buzz from sharing a passion with similarly-minded people. If you get the chance, watch the time lapse video Jason recorded during the event to get a feel for it. A direct and lasting outcome of my attendance at Oz KFest 2015 is WOzFest. After Oz KFest 2015, Tony Diaz drove his way to Sydney, and I held the first WOzFest in his honour before he flew home. 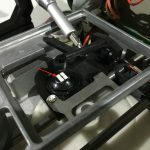 For those who had been unable to attend Oz KFest, it was an opportunity to see Tony’s amazing collection of rare items, including one-of-a-kind prototypes. And those of us lucky enough to have been at both events still enjoyed the opportunity to see the items again, hear their stories again, and just be that much closer to them. In regards to Apple ][s, 2015 was absolutely a year of re-emergence for me – right into the thick of the local Apple ][ community. Feel free to share in the Comments what has launched you back into your retrocomputing community. I’m pleased to announce WOzFest 5¼″ is going to be held on Saturday, 19 November 2016! It is, as its name suggests, a celebration of that venerable storage medium, the 5¼″ floppy disk. The 5¼″ floppy disk was critical to the Apple ][’s success in the market. 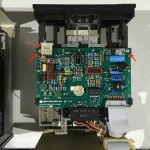 Woz’s engineering prowess and ethos permeates how floppy disks and drives were implemented in the Apple ][ – the controller card is considered one of his great engineering feats. I have a few ideas for the night – nothing I can really go into yet, and I always like to have a surprise or two – but I’d be interested to hear attendees’ thoughts on projects or things to do throughout the event. As things firm up I’ll post further details of what’s happening – as usual, arrival is from midday onwards, there’ll be snacks and apple cider and we’ll order in pizza for dinner. Wrap-up is likely by about 10:30pm (all times AEDT/UTC+11:00). Please let me know if you’re intending on attending. One of the things I may need to do while engaged in my europlus Refurbapalooza is replace the CPU in one or more machines. I’m pretty sure at least one of my europluses has a dud 6502. I bought some Rockwell 65C02s many years ago with a view of having them available for replacing dud CPUs – and then I found out that the 65C02 won’t work out of the box with anything before the enhanced //e. 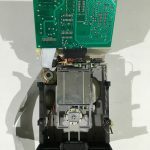 There’s some info online on what need to be done to get an older Apple ][ to work with a 65C02, but I’m not keen on modding my europluses like that. So, if I’m going to be able to overcome that hurdle, I need some old school 6502s – and where do we all go to source such things these days? eBay, of course! 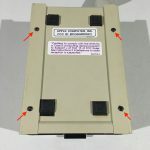 I was surprised by some eBay auctions when I did a search there – it seems to me possible that they have just reproduced old datestamps on newly-made 6502s. I may be wrong, it just seemed that was a possibility given the number of items (both number of auctions and quantity available) listed as “new” with datestamps from the 80s. Of course, they could have all been squirrelled away in the corner of some office or factory for all this time! Maybe I should stop being so suspicious! Anyway, I settled on an auction for 11 Synertek 6502s with original Synertek-branded anti-static tube – in fact, I’ve organised a group buy of two tubes with other Australian Apple ][ enthusiasts. They should arrive just before the start of October, and that will give me the one/s I need for Retrochallenge and a few spares, supply some other enthusiasts’ needs now, and perhaps have some available to pass on in the future. I have two Synertek 6502s which came from a couple of my Apple ][s stored in the Rockwell 65C02s’ anti-static tube (I hate throwing out anything! ), so I’m pleased I’m finally replacing like with like. Until I test other chips on non-functioning europlus motherboards, I won’t know which I might need to buy to get machines operational. But at least I hope to have a shopping list by the end of October! I’d be interested to hear in the Comments below what prep you need to do for Retrochallenge (without doing any of the project itself, of course!). 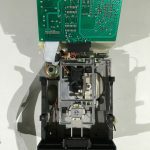 There seems to be a lingering confusion in the international Apple ][ community about what WOzFest is, and what it isn’t. If you had told me a year ago that I would ever write that sentence, I’d have had you committed – there was no way I expected the international Apple ][ community to care one iota enough about WOzFest to get confused by it. The most common misunderstanding is that WOzFest is Australia’s version of KansasFest and is an annual Apple ][-related gathering, when, in fact, Australia’s version of KansasFest is Oz KFest. I know I’ve brought about this confusion to some degree myself with the choice of name – keeping the “Oz” and “Fest” in the name does make it look similar to Oz KFest, but with the fact I live in Wollstonecraft giving me the opportunity to make the ultimate Apple ][-related name pun possible when abbreviated and paired with “Oz”, it was too tempting not to. The events are also viscerally different in other ways – WOzFest’s informal nature vs Oz KFest’s set session schedule; WOzFest is a frequently-held one day gathering vs Oz KFest being less frequent and held over several days; WOzFest is always held at my home while Oz KFest is held in different locations around Australia. 1. WOzFest is always held at my home in Wollstonecraft, NSW, Australia. 2. Each Oz KFest is held in a different location throughout Australia. I’ve watched from the far sidelines (maybe from the carpark?) as previous Retrochallenges have been held, always wishing I had the time to dedicate within one month to try and achieve something pre-planned, documented and tangible related to my retrocomputer interests. January is never a good month, with birthdays and new year’s really putting a spoiler on doing anything solid. Similarly, July has always seemed challenging as well, even though I can’t specify exactly what it is about that month that would preclude my involvement. However, with the revitalisation of my Apple ][ efforts since attending Oz KFest 2015 (which has included holding WOzFests, sorting through my collection, holding more WOzFests, and getting back into this blog after rehoming it to self-hosting) and the move of Retrochallenge to October, I’ve decided to finally enter that worthy competition. […]is an Apple ][ europlus refurbapalooza as I have several europluses (europli?!) in various states of disrepair. Most have blown PSU capacitors, and at least one has other non-PSU-related issues. Most of them have also been rigged up with other PSUs at one time or another. So I’m planning on doing a census and re-uniting the europluses with model- and date-appropriate PSUs, replacing the blown capacitors, and trying to identify any other issues. General cleanup, keyboard testing, etc., will also feature. And on the subject of John being involved in Retrochallenge 16/10, may I just extend publicly my gratitude to him and the other Retrochallenge organisers past, present and future – such a tangible effort on behalf of the retro community helps to make it a richer environment for us all. So, what’s your Retrochallenge 16/10 project going to be? It’s annoying that a little hiccup can lead to a lengthy hiatus in my Apple ][-related projects and this blog. I had been trying to maintain a weekly posting schedule, and also keep various tasks on my Apples moving along, but I lost access to the Man Cave for a short couple of weeks, and everything just fell by the wayside! However, this post marks the reboot of my generally successful period of moving retro things forward, I promise! I’ve already started planning for the next WOzFest, with an expected timing of November – I have some very particular ideas about the name and theme, and I intend to provide attendees with a very real memento of their participation! Look for the announcement over the next several weeks. 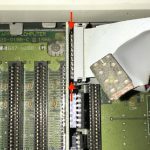 I have full access to the Man Cave again, which will allow me to finalise my disk ][ refurbishment project I began before WOzFest $04 – I’ll do a write up on that shortly, including discussing my “only make it once” ribbon alignment mistake, and how I identified and rectified the resulting damage. I’ve decided on a surefire path to move another major project forward, which will be the topic of my next post, and hopefully several more during the month of October (hint, hint!). All in all, I’m excited at the prospect of “getting back into it” in very tangible ways! I hope your retro projects have not been as neglected as mine have been recently.